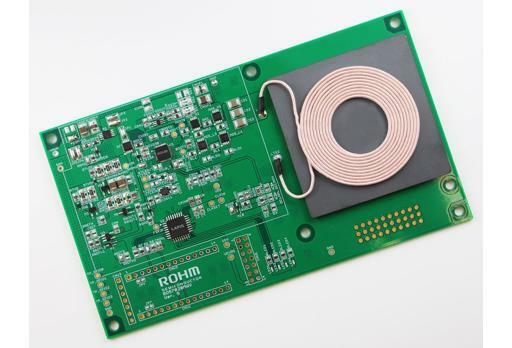 ROHM, a semiconductor company originating from Kyoto, Japan, has opened the doors for 15W wireless charging for Qi enabled devices. They announced their certification for the BD57015GWL wireless power receiver reference design during the CES 2016. It passed the Qi 1.2v standard for medium power and was shown at WPC’s booth. Alone with their previous certification for the BD57020MWV last October 2015, ROHM has given a full set for low to medium power wireless charging. The medium power Qi wireless charging that ROHM is currently pushing is seen as the standard for wireless charging starting 2016. The current power that most Qi wireless chargers are giving out are of the low power standard, which is 5W. With the medium power Qi standard, you can wireless charge devices at 15W, which is good enough for tablets and can also charge our smartphones and wearables at 3x the speed of what we’re used to now. Along with being able to charge larger devices and added wireless charging speed, ROHM also added Foreign Object Detection which detects metals which could be in the way of charging wirelessly. This can avoid damages to the wireless charger and the device being charged from overheating. ROHM has spearheaded the push towards more applicable wireless charging, and we believe soon enough, other companies will also join the bandwagon. We do hope that the implementation of this new technology would be seamless. Telling now since Juli 2014….. In telling, that it will “come out soon” you are great…. And how long did you think this time can you hold the interested Customers? How long must we wait till you speak out another “coming soon”? – In 3 or 6 Month oder later?